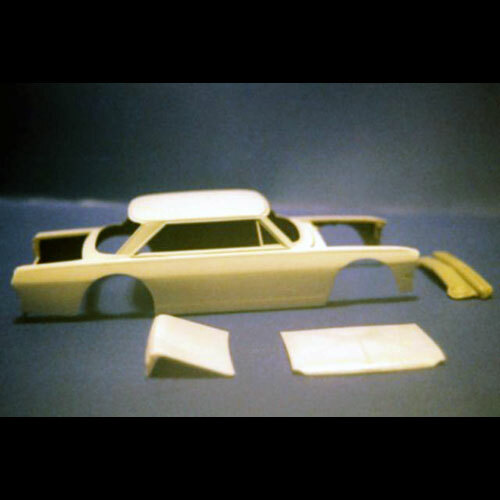 1963 Chevrolet Nova Race Body by J&S Resin. Includes front and rear bumpers, grill, hood, and deck lid. Fits a super stocker chassis. This resin model / body would require a Hot Rod model kit or Race Car kit for donor parts to finish.